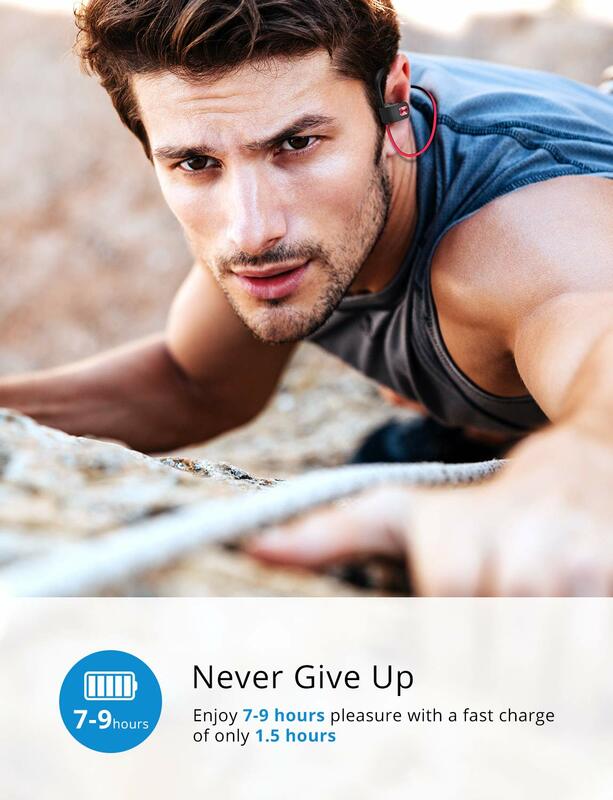 Flame Bluetooth Earphones are world’s best selling bluetooth earphones now in Pakistan with 1 Year warranty. Available in Black & Red Colors. 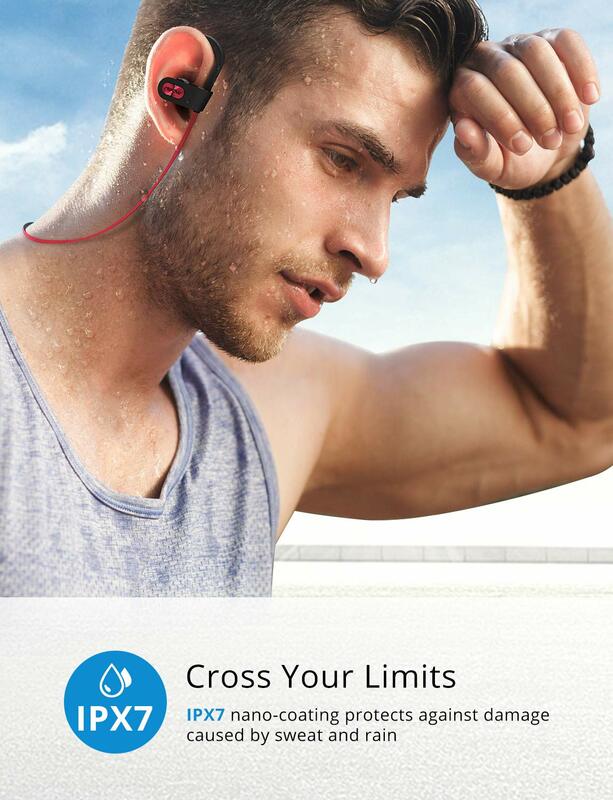 Flame Bluetooth Earphones- IPX7 WATERPROOF EARPHONES: Water-resistant Nano-coating efficiently protects sport headphones from sweat and ensures more guaranteed life span. Perfect for running, cycling, hiking, yoga, exercises, gym, fitness, travelling, etc. 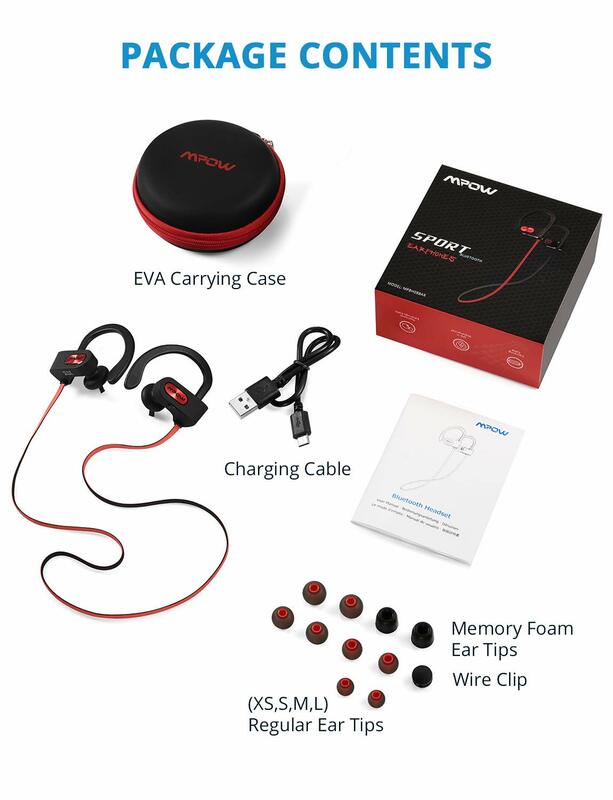 Bring Music Where You Sweat Thanks to the advanced Nano-coating, Mpow sports earbuds keeps the headphones protected and in peak condition whether youre getting drenched in sweat after a grueling workout. 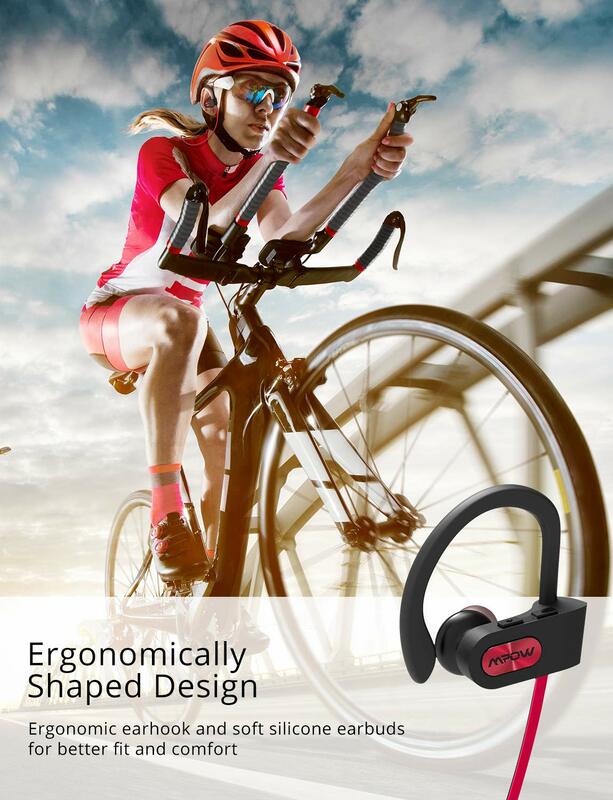 Always Stay in Put Ergonomic and flexible in-ear design, soft silicone over-ear hooks, and memory ear tips brings secure fit without hurting your ear, enables comfortable wearing experience without falling out. 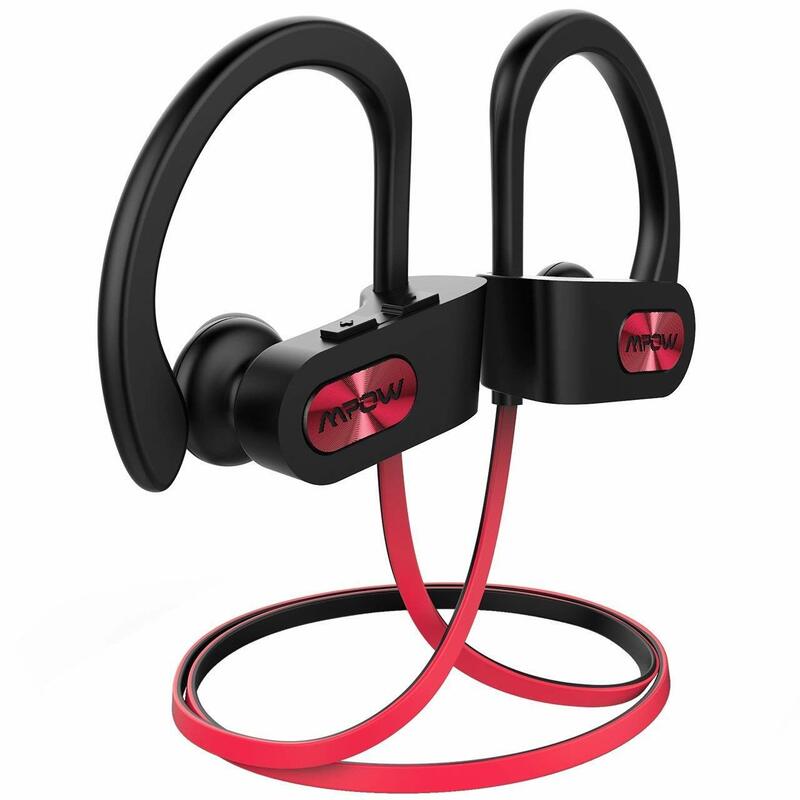 True High Definition Sound Drawing on extensive research and development, Mpow headphones features stereo sound with high definition and unparalleled rock-solid bass. Let your favorite songs drive you forward. Portable Gym-ready Carrying Pouch Come with an EVA bag with cushioned interior which allows you to store your earbuds with complete confidence. Say goodbye to scratches or no scrapes in your training routine. 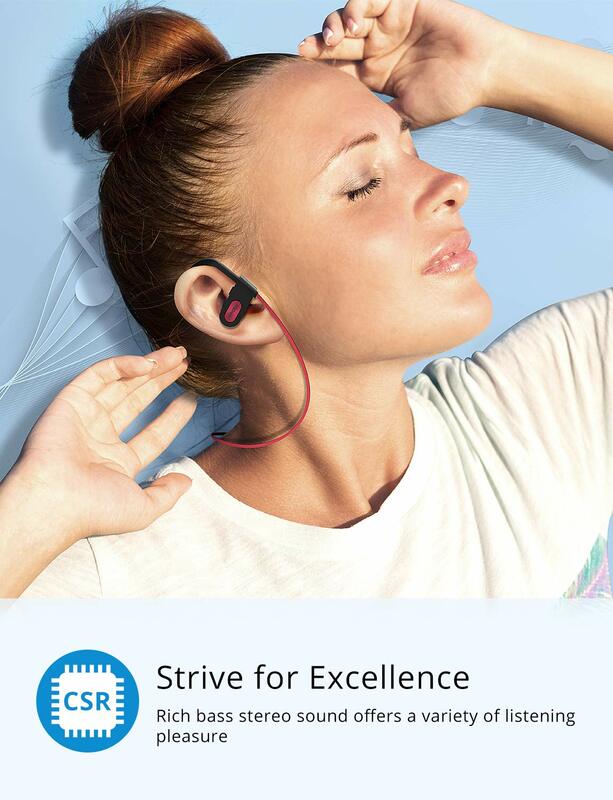 The earphones have been amazing. Battery timing has been around 3-5 hours. The sound is very well considering the price point. However, for folks wearing glasses, the ear hook can be a bit annoying. Great bang for buck. 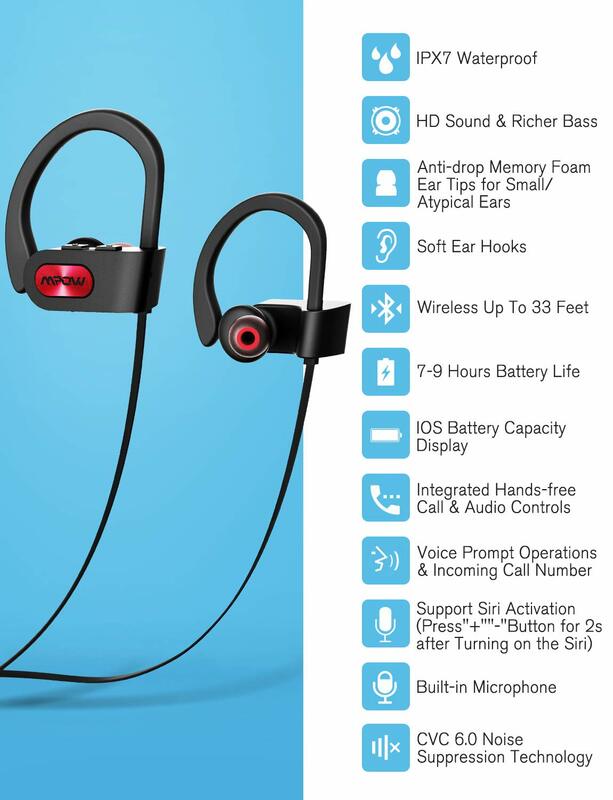 These are one of the best earphones I have tried in a long time , I have the blue/grey version of it and they sound really good given the price range. A little bass heavy the mids and highs are good (Do not expect Bose and Sony Quality) but these sure can match up with other names in the market. I personally use them for workouts so they stay in your ear really well and the provided memory foam tips are great. I would be nitpicking at this point but I do wish the range of the mpow flame was a little more but overall a very satisfied customer. I have used upto 10 such products but none of them met the level .. this is the best as expected.. thumbs up.. i would say this product in this range is really awesome!! !